F-Secure Internet Security protects your digital content and you with real-time protection against malware, hackers and identity theft. The award-winning technology in F-Secure Internet Security protects you against existing and emerging online threats. A powerful antivirus, antispyware and antirootkit solution for corporate environments with basic needs. Real time protection, and automated anti-virus updates. Advanced technology againse zero-day threats, spyware and rootkits. Choosing the right business IT security solutions can be a difficult task with all the endless options to choose from. F-Secure Business Suite takes the opposite approach: all essential components are included in one solution that can be flexibly scaled to fit companies of all sizes. 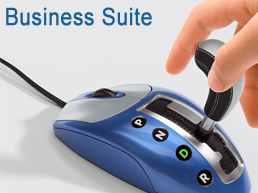 Business Suite is a complete security solution that makes centralized security management easy for IT administrators. It combines outstanding protection with maximized usability. Business Suite Standard offers comprehensive security for all levels of your business IT infrastructure. Business Suite Premium comes with Software Updater that offers an additional layer to protection by keeping the operating system and 3rd party applications patched from vulnerabilities and up to date. F-Secure: "We See Things Others Don't"
F-Secure's 25 years have been rich in innovation. F-Secure established the world's first computer security website, created the first real-time antivirus product for Windows laptops, and developed a heuristic virus scanner and the first integrated, policy managed security solution. 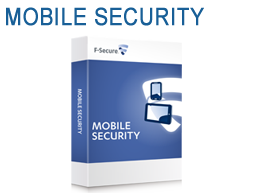 F-Secure provides the best protection in the world for PCs, Macs smartphones and tablets. 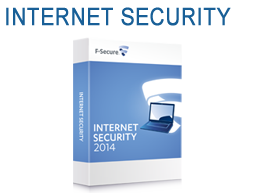 Check out the new features of the award winning F-Secure Internet Security 2014! A short introduction on how to benefit from daily operations automated. With Policy Manager 10, centralized security management is easier than ever! Our specialists are expert in designing data center solutions and can help you create a plan for sourcing and deploying your F-Secure solution. Optrics offers personalized F-Secure product training - a service designed to help you integrate your F-Secure solution smoothly into your network infrastructure.